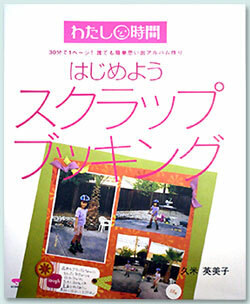 Emi-san's new book was published. ”LET'S BIGIN SCRAPBOOKING." It is easy, let's make my album of remembrance.. My time. Written by Emiko Kume. Our Screwpunch is introduced in this book. Th;ank you very much Emi-san.